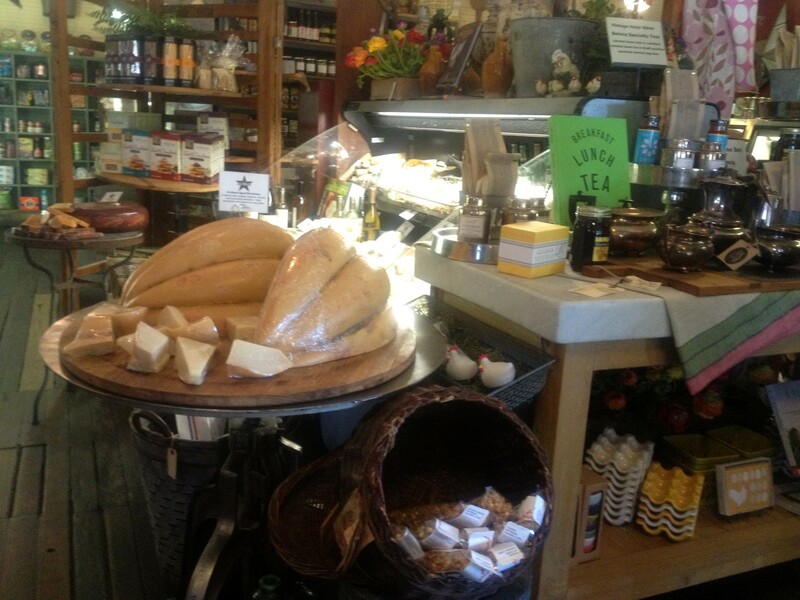 On a recent trip to California’s wine country we decided to have a picnic during a bike ride and stopped by the Dry Creek General Store in Healsburg to pick up some sandwiches and were absolutely blown away. It was a foodie’s dream and everything looked delicious. We settled on some sandwiches and as a side got the kale Caesar salad. We made the mistake of getting a small 1/2 pint of it, and we both wished we could have had more. Back home, we’ve tried duplicating the recipe with a modest success using our “eggless Caesar salad dressing” and home-made croutons made from our Tuscan bread. Hold off on adding the Parmesan to the dressing when you use it in the Kale salad…directions explain why. Put first 6 ingredients in the food processor and process until it makes a paste. Between each addition, fold in dressing with a small spatula. Add the lemon juice & process. Add the olive oil & process. Add the grated parmesan & process. Notes: Better if made beforehand to let the flavors blend. I used our Tuscan bread to make the croutons. Cut them into small squares, lightly oiled the pan with olive oil, and put the croutons to bake in a 250 degree oven for about 25 minutes. 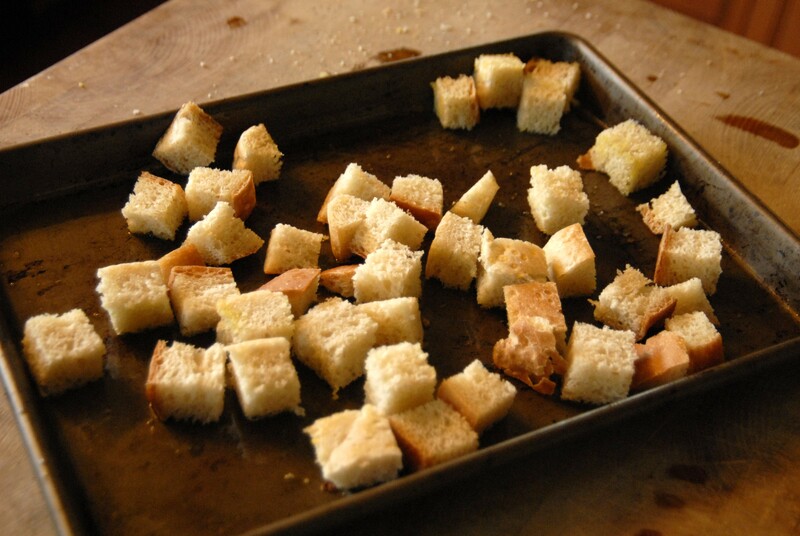 Turned off the oven, and “Voilà!” the little rather stale day old pieces of Tuscan bread became croutons! Coarsely grind the Parmesan cheese in a food processor. Smash the croutons so that they are in small pieces. Toss the kale, the Parmesan, the croutons, and the dressing together and serve.